When someone asks you for a referral, what goes through your mind? 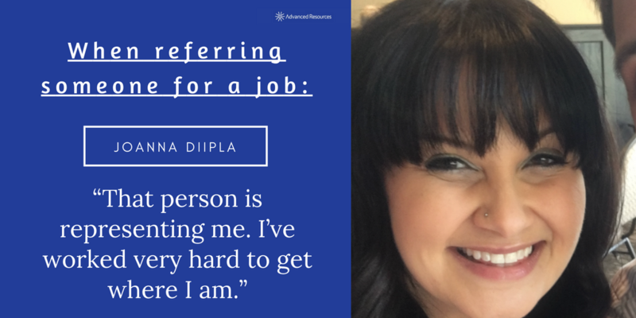 We decided to find out by interviewing JoAnna Diipla, a healthcare professional who has already successfully referred over 5 people within the last year. She identifies which key characteristics to look for when referring someone. Referring someone is always a reflection on you, so choose wisely. If you know someone who possesses these traits, refer them today!